Choosing the design of your new home is one of the most exciting parts of the building process. Should you choose a double or single storey? Walk-in pantry? Al fresco? Study nook? The options seem endless and it can be overwhelming at times. After all, this is one of the biggest investments we make in our life. We understand that every family’s dream home is different. That’s why we have more than 50 new home designs that can be tailored to suit your individual needs. These contemporary home designs are smart and designed for modern living. It’s certainly not a decision to rush through, and at BBH we want to make sure that you’re completely comfortable with the choices you make. Our experienced team are here to guide you every step of the way, so that your new home is your dream come true. It’s worth asking yourself the following questions to get a clearer idea of what you want, so that you can narrow down your options when looking at house designs. What do you like and/or dislike about your current home? Have you got your heart set on a modern home design or would you like something a little more traditional? What do you and your family need from your home right now and will they change over the next 5 years? If yes, how will they change? Once you know the answers to all of these questions, you’ll be in a much better position to choose a home design that will meet your needs now and in the future. One of the great things about living in Sydney is the unique lifestyle we enjoy. Our mild winters and balmy summer nights mean we can live and entertain outdoors all year round. That’s why Sydney’s home designs are as unique as our lifestyle. They shelter us from the excesses of heat, while enabling us to make the most of the great outdoors that we love – regardless of the size of our block. At BBH we’re dedicated to building high-quality, sophisticated and stylish homes designed to suit Sydney’s mild climate and indoor/outdoor lifestyle as well as the diverse range of block sizes from acreages to easy-care smaller blocks in new land release estates. 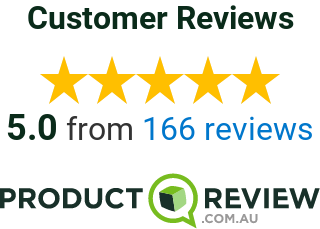 Our quality and service is one of the reasons we are the 2017 ProductReview Awards Winner for the Home Builders Sydney & NSW category. As a locally owned and operated company, we know what kind of homes look good and work well in Sydney’s neighbourhoods, whether they’re small home blocks in the suburbs or acreage homes on the outskirts of the city. Most Sydney families look for modern home designs with open plan living. But they also want breakout spaces for studying and chilling out. That’s why we’ve designed flexible house plans that feel fresh and stylish and can be tailored to suit every taste. Our home designs maximise space while remaining low-maintenance. This makes them ideal for busy couples and families who want to entertain in style and comfort. It isn’t just our house designs that make BBH homes so popular. We take pride in the quality and range of our inclusions that ensures there’s something to suit every home buyer’s taste and style. If you know what you want when it comes to finding the right home design for your needs, or you need help to find it, call us today on 1300 100 922 or visit our display home at 52 Webber Loop, Oran Park. Better Built Homes are the best home builders in Sydney. We specialise in building new homes in sydney, including knockdown and rebuilds, narrow block house designs, luxury home construction, home design, residential design, acreage home design, dual occupancy construction, single story and project home construction.